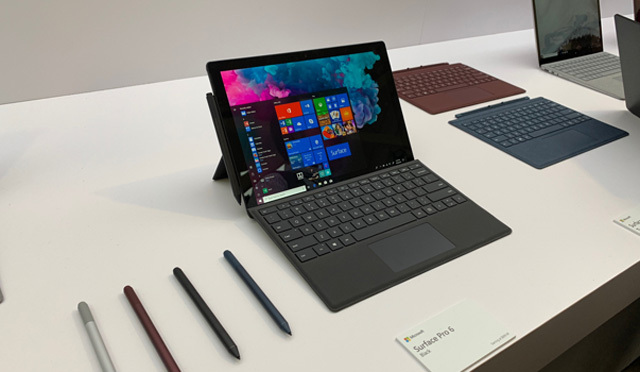 In what it called its largest-ever product introduction, Microsoft today unveiled four new devices: three next-generation Surface PCs – the Surface Pro 6, the Surface Laptop 2 and the semi-pro Surface Studio 2 – and new active noise canceling headphones. All three new PCs have been upgraded with Intel’s 8th generation quad core processors making them appreciably faster and more powerful but maintaining the same battery life as their predecessors. Plus, entry level models now start with 8GB of system memory as opposed to 4GB. All three PCs are available for pre-order now and will be available later this month. Microsoft also announced its usual October Windows 10 update is now available, which includes additional software to better integrate your Android or iPhone calendars and to-do lists with Windows Outlook, and to make it easier to transfer photos from your smartphone to a Windows PC. While including new processors and more system memory for the same price, little has changed substantially between the last generation PCs and the new models. 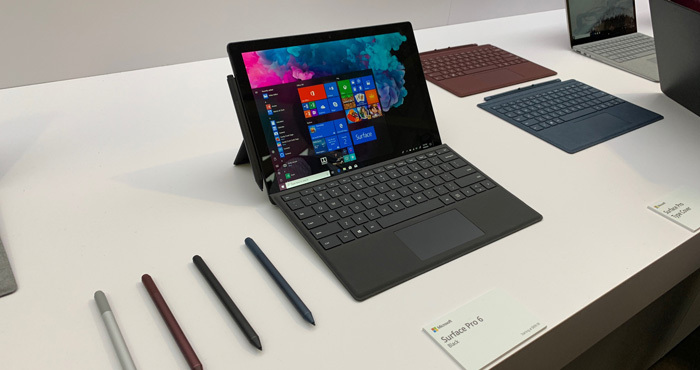 For instance, the new flexible 2-in-1 Surface Pro 6 runs 67 percent faster processing and 8GB of system memory for the same $899 as last year’s less potent Pro (rising to $2,299 depending on configuration), and includes a new thermal system designed to keep the new quad core processor cooler. However, the Pro 6 continues to be similarly outfitted as the previous Pro, with a 12.3-inch PixelSense touchscreen display with 267 dots per inch resolution, 5MP/8MP front/rear cameras, a choice of 128GB to 1TB of solid state memory, the same USB 3.0 connectivity instead of rumored USB-C, Bluetooth 4.1 instead of Bluetooth 5. But even with the more powerful processor, the Pro 6 operates for the same 13.5 hours and is contained in the same lightweight 1.7pound package. You do get a new color, matte black, along with platinum. 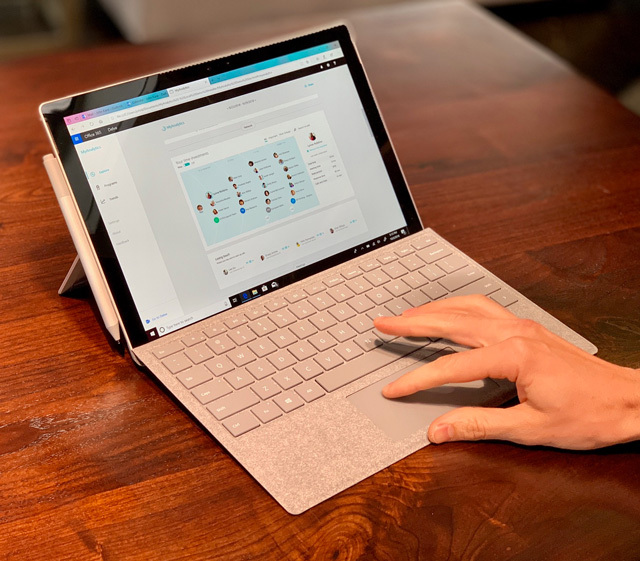 Like the Surface Pro 6, pricing of the more traditional Microsoft Surface Laptop 2 also remains the same, $999, but gets the upgraded Intel 8th-gen quad core processor that makes it 85 percent faster, and a minimum of 8GB instead of 4GB system memory in the entry-level configurations. Like the original Laptop, however, the Laptop 2 still includes a 13.5-inch PixelSense touchscreen display, a choice of 128GB to 1TB solid state memory, the same 720p front webcam, Bluetooth 4.1, cloth keyboard cover in a variety of colors that now include matte black, 14.5-hour battery and weighing in at the same 2.76 pounds. The company’s professional Studio 2 desktop designed for artists and animators is physically redesigned, and its dual-hinge 28-inch display can now be manipulated with one finger. 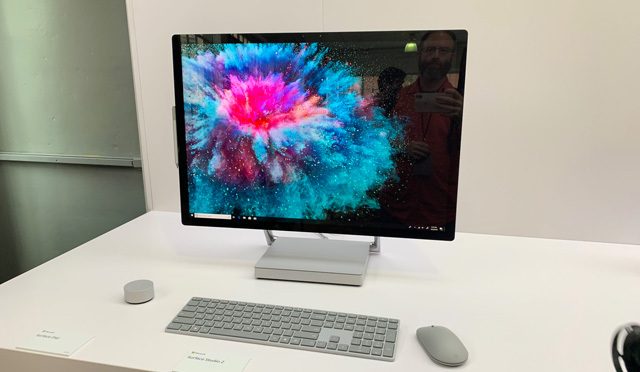 Available in three configurations ($3,499, $4,199, $4,799) now with up to 2 TB of solid state memory, the Studio 2 is 38 percent brighter – nearly 500 nits – with 22 percent more contrast thanks to a new liquid crystal material than the original 2016 Surface Studio, and upgraded graphics and, according to the company, best-in-class ink latency – the nano seconds between touching pen-to-screen and ink appearing on the screen. Microsoft’s new Bluetooth Surface headphones ($349) resembles Sony’s nearly featureless noise cancellation models. 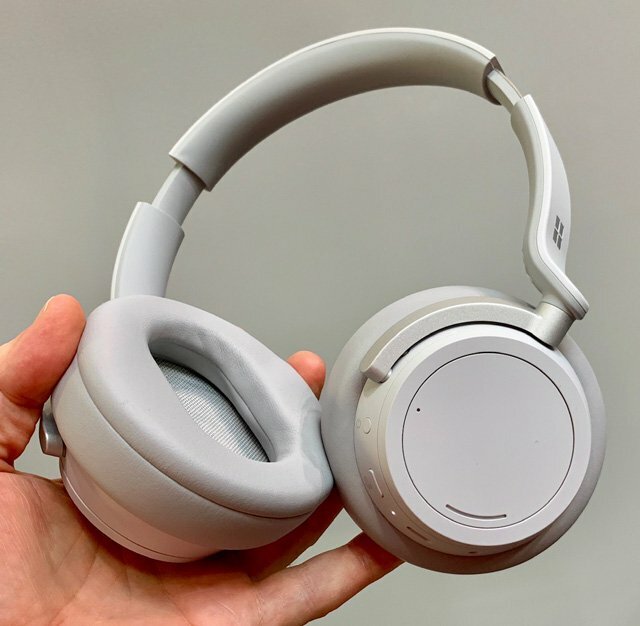 But the Surface Headphones, which will be available later this year, offers 13 levels of adjustable noise cancellation by simply turning the earcup.